Home DIY Food 8th Birthday Party at the Park! 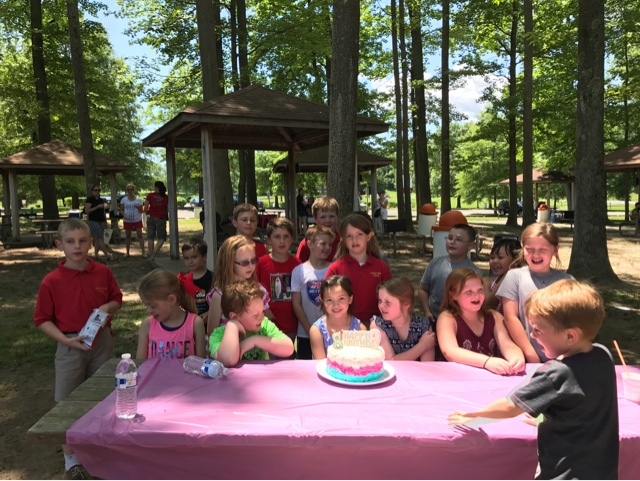 8th Birthday Party at the Park! We celebrated K's 8th Birthday Party at our local park. It was super easy to set up and clean up as well as invite as many guests as she wanted! I stuck with her favorite colors of teal, hot pink and white for decorations. 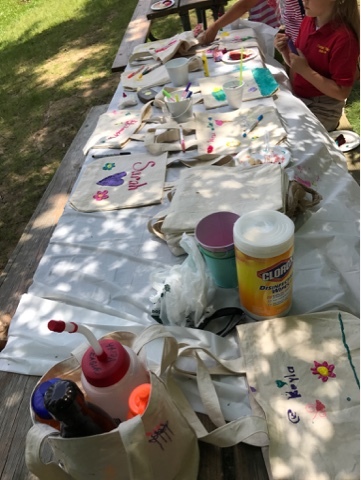 She wanted to decorate canvas totes so I sewed up about 25 bags using two rectangles of 13' x 15' and two strips of 2.5' x 17' for the straps. I bought a rainbow of colors in fabric paint and markers. In retrospect I should have skipped the paint since some kids used too much and their artwork didn't dry before leaving! For food, I picked up some bagged chips, go gurt yogurt tubes, capri sun juice boxes, and bottled water. I made pb&j and ham and cheese sandwiches and my husband grilled up some hot dogs. 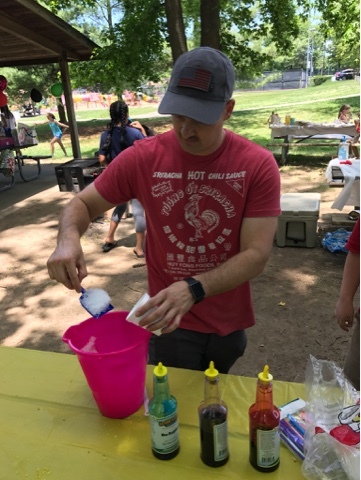 We also had a snow cone machine which was a big hit on this hot day! For favors, I picked up tubes of bubbles, water guns, and a canvas tote. I made a 3 layered cake of chocolate, red velvet and white cake in my 9' circular springform baking pan. 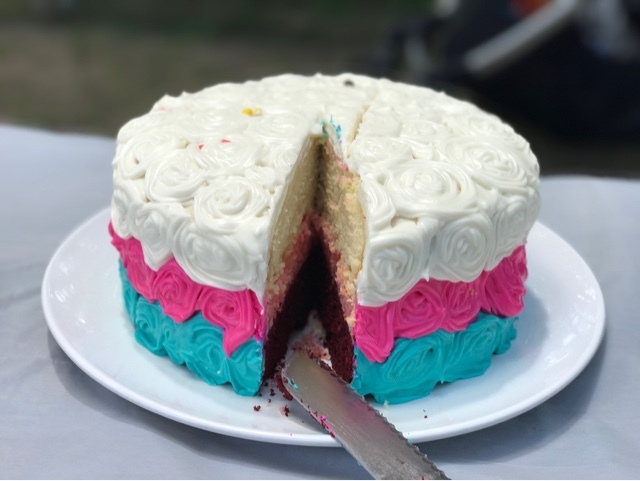 I decorated it with buttercream frosting in the 3 party theme colors trying to make little rosettes. The kids had a blast and it was awesome to not have a mess at my house! We will definitely continue going back to the park for birthday parties.